This admiring piece is available in synthetic and real/faux leather for long life. Two side pockets will allow you to keep your belongings. Snap tab round collar will enhance your personality even more. 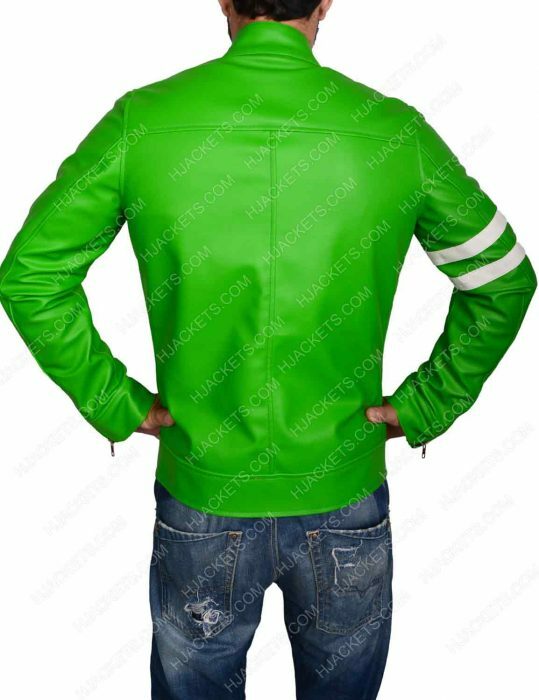 The has pleasing green color that will admire everyone around you. Front zipper closure and hemline on borders will grab everyone attention. Viscose lining will absorb your moisture and keep you comfortable throughout. Designers have given their complete attention to make you groovier among all. 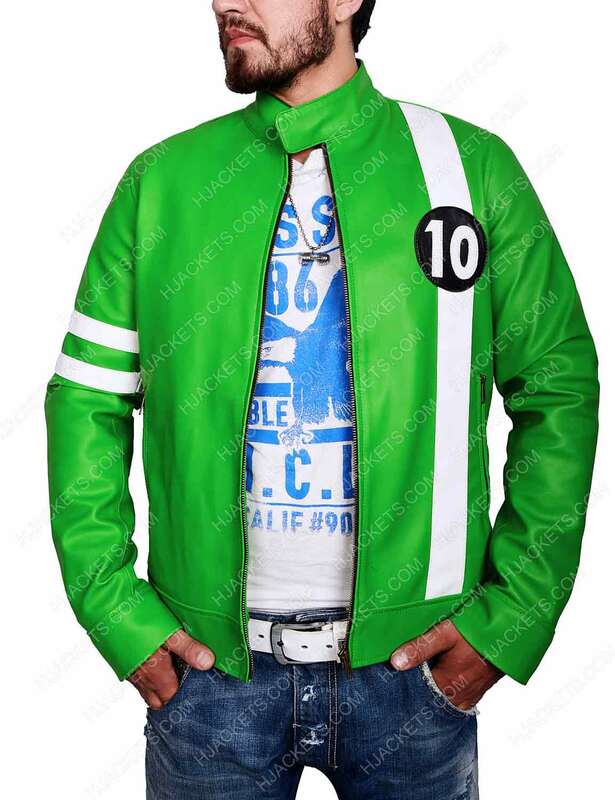 Let the world bit their nails with your admiring personality whenever you carry this outstanding Ben 10 Jacket. 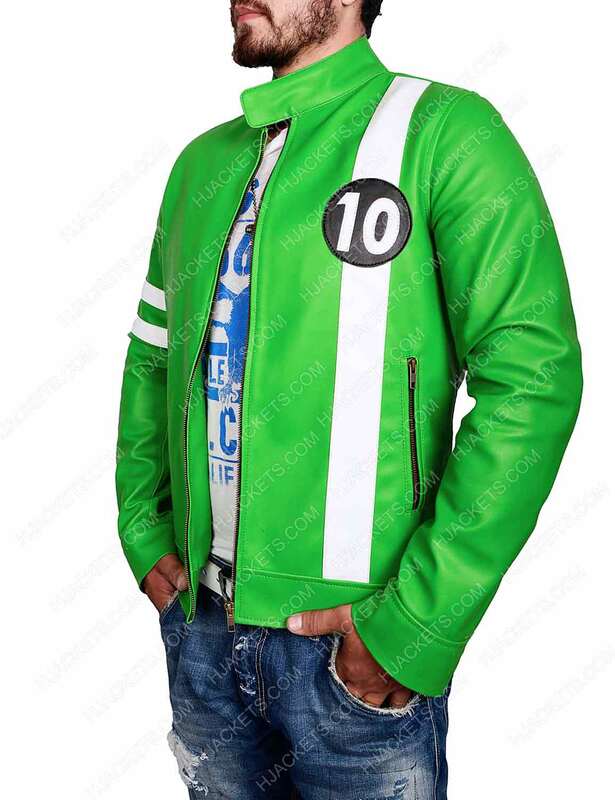 This is a great attire that will make you groovier among and everyone will follow your foot step. The admiring is for all those fashion forward guys. Who really want to rule the world of fashion. So guys what are you waiting for?? Let us jump in to grab it. Our skillful designers have picked top quality real leather that you can attire it for many years ahead as well as with synthetic leather that will keep you flexible throughout the day while carrying it. Viscose lining will absorb your moisture and keep you comfortable and ease throughout the day. 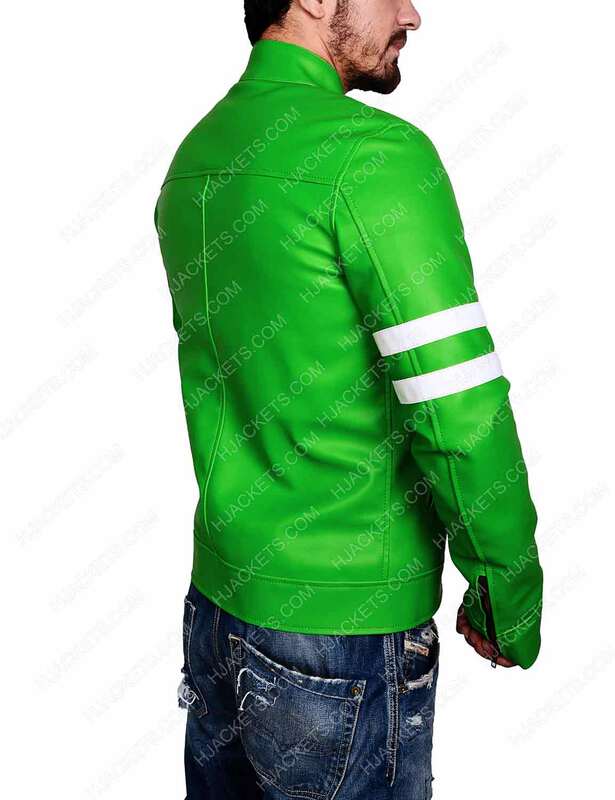 Pleasing green color jacket has snap tab round collar that will enhance your personality even more. 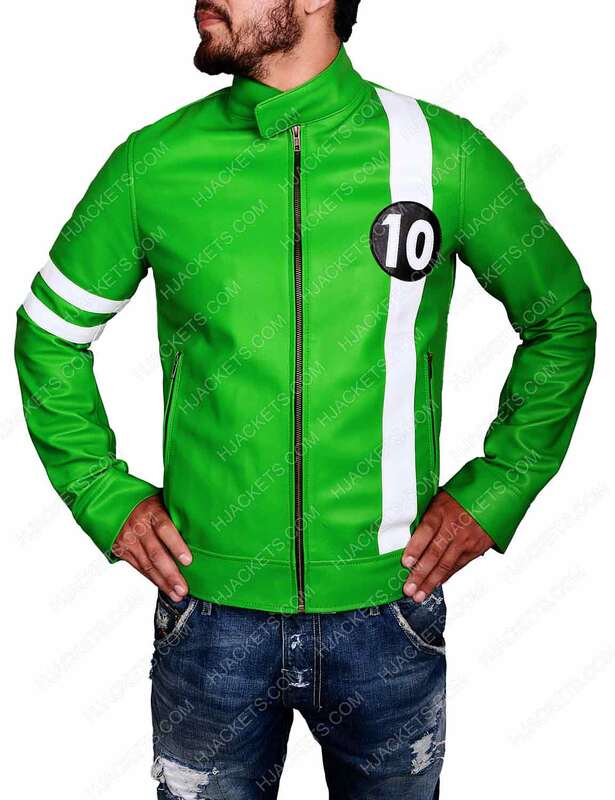 Front zipper closure and zipper cuffs has given this Ben 10 Leather Jacket attractive look. For your belonging and necessities there are two side pockets that will allow you to carry them whole day. Our designer have given their complete attention and dedication just to give you groovy and superior look among all.